It is common that everyone creates a beautiful home garden. However, it is the garden decorative ideas that make it more elegant and attractive. Water fountains, water falls, rock gardens, garden arches, pergolas and bird houses are some of the garden decorative features. Make your garden unique to surprise and attract the attention of your guests by adding statues. They give a striking look to the garden. You can use statues made of marble, limestone, wood, plastic resin, bronze and granite. Unlike any other synthetic materials, stone garden statues are resistant to weathering and require less maintenance. Statues which are life-like with humans are more commonly used to decorate gardens. 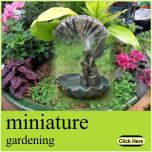 They can be placed in the center of the garden as a focal point or at the center of water fountains and water ponds. They can even be placed between two garden beds separating them. You can select the size of the statue based on the size of the garden and place where it is to be installed. Apart from the human-like statues, you can even use bird statues and statues of funny characters. When you want to decorate your water pond or any water feature in the garden, you can use bird statues to provide a natural look. Smaller statues can be placed somewhere in between the bushes of garden shrubs or along the sides of the pathways or at one side of a patio to make the garden environment more attractive. You can decorate your pool area by placing statues of smaller size. Inserting one or two large statues and some smaller statues in a garden gives an extraordinary look to your garden. So, select a unique model of statues when planning to improve your garden area to increase the value of your home and garden.